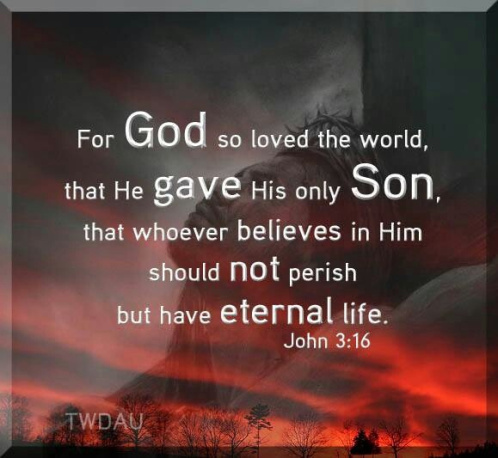 John 3:16 may be the best-known verse in the Bible, but it’s also the subject of an amazing story told by Heisman Trophy winner and professional athlete Tim Tebow. Not long ago I visited the Empire State Building with a friend. The line looked short—just down the block and around the corner. Yet as we entered the building, we discovered the line of people stretching through the lobby, up the stairs, and into another room. Every new turn revealed more distance to go. Sometimes life’s disappointments are much more severe. The job we hoped for doesn’t materialize; friends we counted on let us down; the romantic relationship we longed for fails to work out. But into these heartbreaks, God’s Word speaks a refreshing truth about our hope in Him. The apostle Paul wrote, “Suffering produces perseverance; perseverance, character; and character, hope. And hope does not put us to shame [or disappoint us], because God’s love has been poured out into our hearts through the Holy Spirit, who has been given to us” (Romans 5:3–5). As we place our trust in Him, through His Spirit, God whispers the truth that we are unconditionally loved and will one day be with Him—regardless of the obstacles we face. In a world that may often disappoint us, how good it is to know that God gives genuine hope. In Christ, the hopeless find hope. Does Paul add insult to injury when he links hope to character? Is he saying it takes being a good person to have hope (Romans 5:3–4)? No. Paul isn’t writing to exalt the virtues of moral or legal compliance. He’s telling a story about what the Spirit of Christ does for us in our sin and in our suffering (Romans 5:6–8; 8:22–27). According to Paul, hope is given to us by the Holy Spirit who personally opens our hearts to the love of God—with the assurance Christ died for us in our moral helplessness. Have you ever put a seashell to your ear? The common belief is that if you do so, and if you stay perfectly still and quiet, then you can hear the sound of the ocean inside the shell. It seems unlikely, yet when we try it, we always seem to hear something, don’t we? There are many things in life that we simply cannot hear until we become quiet and focus our hearing intently. When we concentrate on a shell, we hear the ocean. But what can we expect if we turn our attention to God? In today’s passage, we see Elijah in desperate need of a word from the Lord. First a mighty wind blows through the mountains where he is resting, but God is not in the wind. Then an earthquake shakes the very ground, but God isn’t in the earthquake, either. Finally a brilliant, consuming fire appears, but Elijah knows this is also not God. Then, after the dramatic occurrence of these three mighty forces—all of which could have been a fine representation of God’s power—the Lord approaches in a gentle breeze. And Elijah recognizes Him immediately. God does not always speak to us in the way we expect. It is possible to expend so much energy searching for Him in the powerful, distracting “noise” of life that we can overlook His most intense call—which often comes through silence. What might God be whispering to you today? Calm your mind and become quiet before Him; He may just shock your senses with His compelling, small voice. Fire was considered by certain of the ancient pantheistic philosophers to have been the primeval element out of which all things had evolved, and this same myth is promulgated today by evolutionary cosmogonists in the form of their “Big Bang” theory. The fact is, however, that fire is a creation of God used both actually and symbolically as God’s vehicle of judgment on sin. It is significant that both the first and last references to fire in the Bible mention both fire and brimstone used in flaming judgment on human rebellion against God. First, “the LORD rained upon Sodom and upon Gomorrah brimstone and fire from the LORD out of heaven” (Genesis 19:24). And finally, “the fearful, and unbelieving, and the abominable, and murderers, and whoremongers, and sorcerers, and idolaters, and all liars, shall have their part in the lake which burneth with fire and brimstone: which is the second death” (Revelation 21:8). Today’s verse is a reference to Moses’ words to the tribes as they were preparing to enter the promised land after his death. Warning them against corrupting their faith through idolatry, he said: “For the LORD thy God is a consuming fire, even a jealous God” (Deuteronomy 4:24). Its New Testament context is a grave warning against rejecting God’s Word: “See that ye refuse not him that speaketh. For if they escaped not who refused him that spake on earth, much more shall not we escape, if we turn away from him that speaketh from heaven” (Hebrews 12:25). Well was it for Hezekiah to have so faithful a chaplain in his dying moments. Too often when men are near to death, their friends feel so much cruel delicacy, that they dare not tell them the truth as to their state. He longed for a little more time below, he had begun to love the world too well, and moreover, he was too anxious about an heir to the throne. A poultice must be used. Although the Lord could heal us without medicine and surgery, he does not choose to do so. There is no use in enquiring how this was done; it is another instance of the omnipotence of God. The rod was heavy, but Hezekiah kissed it like a true-born child of God. Lord, teach us the like patience. When the Bible says that God is calling a special people out of the nations to bear the name of His eternal Son, I believe it—and His name is Jesus! Our pious forefathers believed in spiritual preparation, and they said so. They saw themselves as a bride being prepared to meet the Bridegroom. They regarded this earth as the dressing room to outfit themselves for heaven. The evangelical church has come through a period when nearly everyone has believed that there is just one prerequisite to readiness: being born again. We have made being born again almost like receiving a pass to a special event—when Jesus returns we whip out the pass to prove our readiness. Frankly, I do not think it will be like that. I do not believe that all professed believers are automatically ready to meet the Lord. Our Savior Himself was joined by Peter and John and Paul in warning and pleading that we should live and watch and pray, so to be ready for Jesus’ coming. This is a word of truth, gathered from the experience of a man of God, and it is tantamount to a promise. What the Lord has done, and is doing, He will continue to do while the world standeth. The Lord will receive into His bosom all who come to Him with a sincere confession of their sin; in fact, He is always on the look-out to discover any that are in trouble because of their faults. Can we not endorse the language here used? Have we not sinned, sinned personally so as to say, “I have sinned”? Sinned willfully, having perverted that which is right? Sinned so as to discover that there is no profit in it, but an eternal loss? Let us, then, go to God with this honest acknowledgment. He asks no more. We can do no less.